For more information about any of the exciting new releases from the Southern® Living Plant Collection, click the picture above to open the Southern Living Plant Collection link. Looking for a low maintenance roses that blooms from spring till fall frost. 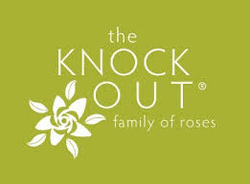 Then you are looking for a Knock-Out Rose. We carry a full array of colors in this special family of roses. color to the landscape. Encore® Azaleas have an established reputation in the plant industry like no other azalea. To learn more about which Encore Azalea would work for you click on the Encore picture to be taken to the Encore website.